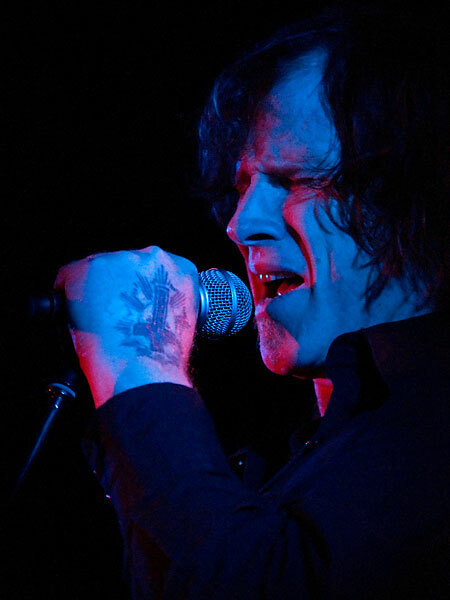 As much as I really like Mark Lanegan, and all the music he’s been involved with, he’s not an easy subject to photograph, preferring to perform in extreme darkness with his eyes tightly shut. The cause isn’t helped tonight by being at The Zoo, which doesn’t have a photo pit and choosing the wrong side to photograph from. At the end of the first song, Bubblegum’s When Your Number Isn’t Up, it’s a case of running around to the other side via the back of the venue and trying from the other side, although I just end up photographing through the frame of the speaker stack rather than pushing my way into the front row. But what you lose out in photography is more than made up in the quality of music. 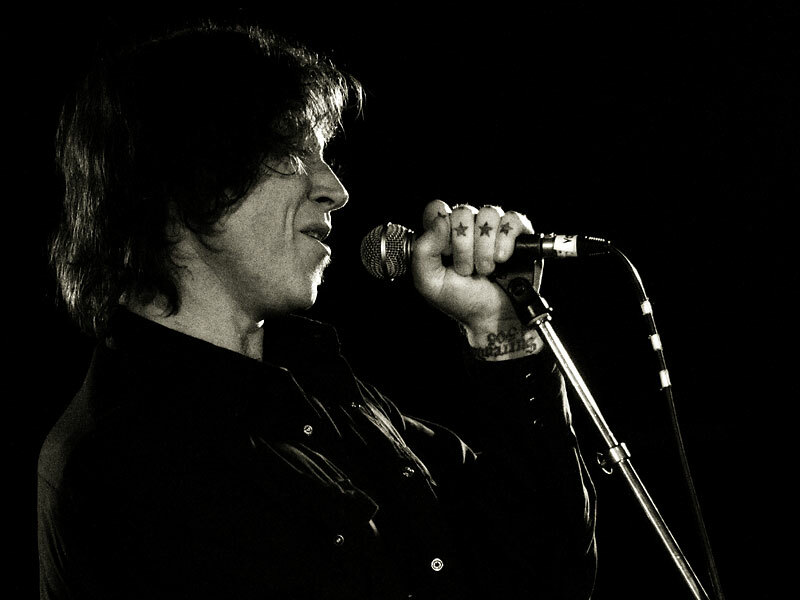 Tonight it’s just Lanegan and guitarist Dave Rosser, who also accompanied him and Greg Dulli last year when they were touring as The Gutter Twins. 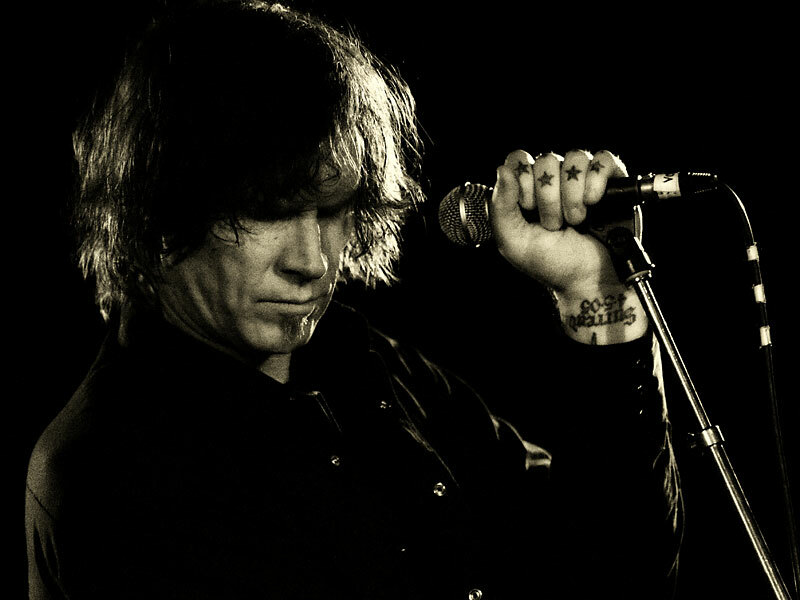 Without Dulli’s voice and guitar/keyboards accompaniment, it’s a very stripped down sound this time around, as Lanegan showcases songs from his solo albums as well as Screaming Trees, Soulsavers and Queens Of The Stone Age songs. I stumbled across Soulsavers completely by accident. I was in Fopp on Charring Cross Road last November when I was back in the UK and in London when they were displaying their albums of 2009, one of which included Broken. The sticker that was on the front of the CD which listed the people on the album was more than enough to convince me to buy it; Lanegan, Will Oldham), Jason Pierce, Mike Patton, Richard Hawley, Gibby Haynes. 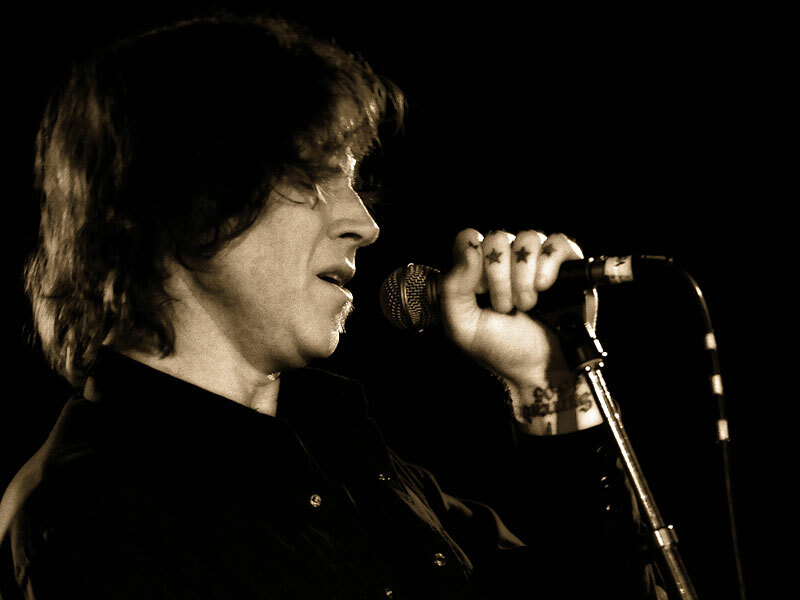 It was surprising that it was so under the radar in Australia, unless I completely missed any mention in the music media and on web forums, considering that the album also featured Sydney singer Rosa Agostino, who performs under the moniker Red Ghost. It’s very un-Australian to have a singer doing so well and keeping such esteemed company and for the Australian media not to be all over it. 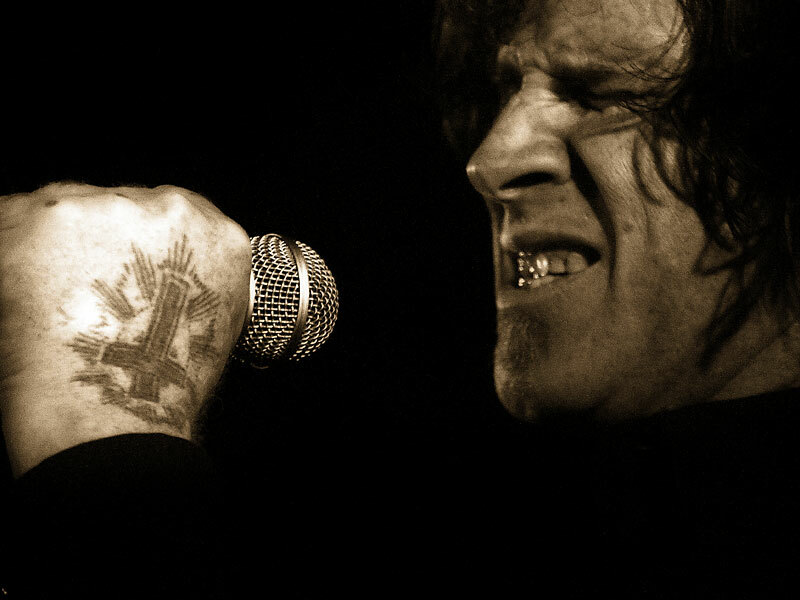 The Soulsavers album was one of my favourites from 2009; it more than made up for the disappointing Gutter Twins album, of which great things was expected given how good the partnership had been on the Twilight Singers’ songs that Lanegan had sung on. Although tickets were expensive – buying them online in advance managed to increase a $49 ticket to $55.60 when booking fee was added on despite it being an e-ticket, although this was still cheaper than the $60 door price – he only played for about an hour, which probably doesn’t represent great value, especially as it was 15 minutes less than the advertised show times. (It’s a similar price to The Pixies’ Splendour warm up show although I think the most expensive Zoo show I’ve ever seen advertised was $75 to see Tricky when he played a Splendour sideshow there in 2008). The upside is that for once it’s a nice and early week night show; all done and dusted by 10:30pm and in all fairness it’s probably long enough when it’s just acoustic guitar and vocals. Hopefully he’ll being a band with him next time or maybe Soulsavers will tour and bring him with them. DYING to see him live!